Early estimates going into 2016 indicated that around 96 percent of mobile devices users would search for a digital coupon this year. When you consider the sheer number of people who regularly use internet-capable mobile devices throughout the United States, which is an absolutely staggering figure that says a lot about the ways people are shopping in today’s more digitally connected world. It also says a great deal about digital coupons, which have, for many customers, become the go-to way to take advantage of unique deals at stores and restaurants in their areas. No longer do you have to rely on print coupons in the newspaper or mailers. Now you can start transitioning to online restaurant coupons using FansRave®, a local listing and marketing site built specifically for restaurants. Using FansRave® you can create and share smartphone-friendly coupons for up to hundreds of restaurant locations in minutes. Why should I use digital coupons? About 60 percent of coupons are found and obtained on mobile devices, compared to 40 percent for desktop devices. The use of digital coupons is a growing habit. About 79,8 percent of consumers use coupons regularly, while 80 percent consider themselves “promotion sensitive,” using coupons specifically to find great value. Coupons have been demonstrated to bring in new customers. 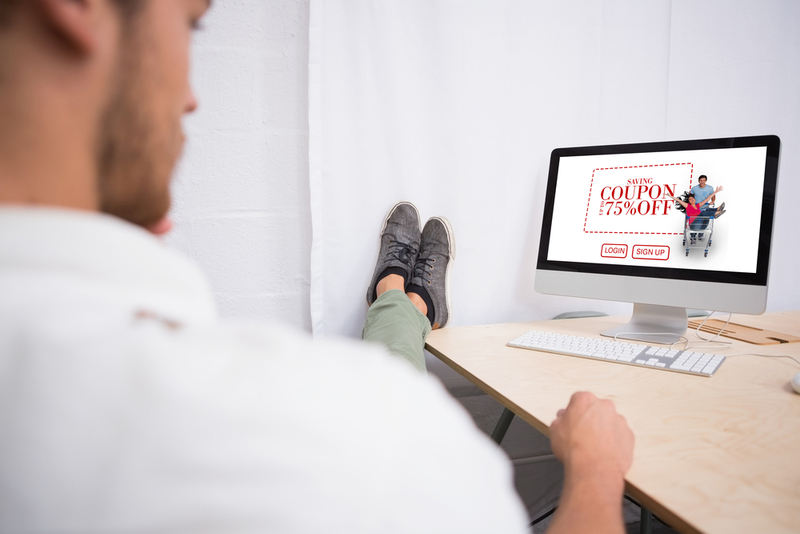 Approximately 57 percent of shoppers say they would not have made a purchase if they did not have the coupon first, and 91 percent of people who redeem a coupon say they will be more likely to visit a retailer again after they are offered a coupon. The top five industries for which survey respondents search for coupons are electronics (60 percent), travel (45 percent), food and restaurants (43 percent), clothes and apparel (40 percent) and health and beauty (35 percent). The top five ways in which people find coupons when searching for them (so email does not count here) are by finding a coupon website (96 percent), a brand website (92 percent), a retailer website (91 percent), search engines (85 percent) and social media (68 percent). Approximately 30.7 percent of survey respondents say having to clip coupons would take too much time for them to actually consider using printed coupons offered by businesses. For more information about the importance and prevalence of digital coupons in 2016, contact the team at That’s Biz.